Unsurprisingly, Producers think this conflation of ‘On Spec’ and ‘On Commission’ is a great system and writers think it is crap! At the BBC Writers Festival 2018 back in June I caused a minor stir by publicly challenging Piers Wenger (BBC head of drama), Victoria Fea (drama commissioner at ITV), and Anna Hargreaves (drama executive at SKY), about the scourge of indie producers asking writers to “work” for free on projects that will be owned by the Producer if green-lit. “At first, the panel looked at him (i.e. me, Chris Jury) like he had 3 heads. Then he asked the audience (who were all working, credited writers) to raise their hands if they’d been asked to write substantial work (i.e. not just a one-two pager) for free by producers. I don’t think I’m exaggerating when I say every hand in the house when up. The commissioning executives looked shocked. My intervention at the festival was spur-of-the-moment in response to things the panelists were saying but it was/is also part of the ongoing WGGB campaign, Free Is Not An Option, which seeks to challenge the expectation that professional writers will work for nothing in the development of film and drama projects for professional producers. As a member of the WGGB TV Committee and a practising writer I am all too aware that this practice is endemic across the industry as more and more people seek to gain entry to the ‘glamorous’ world of writing TV drama and comedy and fewer and fewer producers are prepared to risk capital on script development. 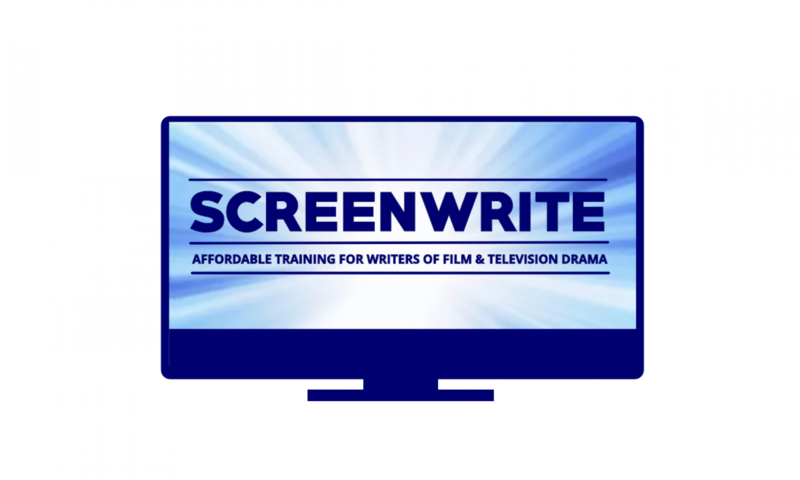 We are constantly told that in drama and comedy ‘the script is everything’ but until a project is green-lit it seems no one wants to spend any money developing these all important scripts. To be fair to programme Commissioners when they read a script that is for them the start of the process. If you are a channel controller when you read a script to you it is a ‘first draft’. But in reality before it got on your desk it will have gone through extensive development involving multiple drafts, of multiple types of documents, written over a period of at least 6 months and more likely 2 years. If a film or programme based on the script is green-lit then all is well; if not then all that time and effort remains unrewarded… at least for the writer. Producers and Script Development Executives for broadcasters and for major Indies are almost always salaried staff. Writers never are. Thus salaried Producers and Executives involved in script development are paid whatever the outcome of the development process but ‘On Spec’ writers are only paid if the project is green-lit. This is where the inequity lies. It is NOT iniquitous if a writer works ‘On Spec’ with a producer who is also working ‘on Spec’ and they both share ownership of the project and are both locked-in. The WGGB campaign is seeking all UK Commissioners to introduce a system whereby all Producers seeking to submit work for consideration must demonstrate at the point of submission that they have at the very least paid for an option in the work. The fact that this very modest demand has been completely rejected and/or ignored by all the UK Broadcasters would suggest that the ‘shock’ which Jeff Norton described being shown by the Commissioners at the BBC Writers Festival was perhaps disingenuous? As Chair of the Midlands TUC Creative & Leisure Industries Committee (CLIC) I am also aware that this ‘scourge’ of professional Producers expecting creative workers to work for free is endemic across the creative industries. The MU have their Work Not Play campaign and Equity has Professionally Made Professionally Paid.